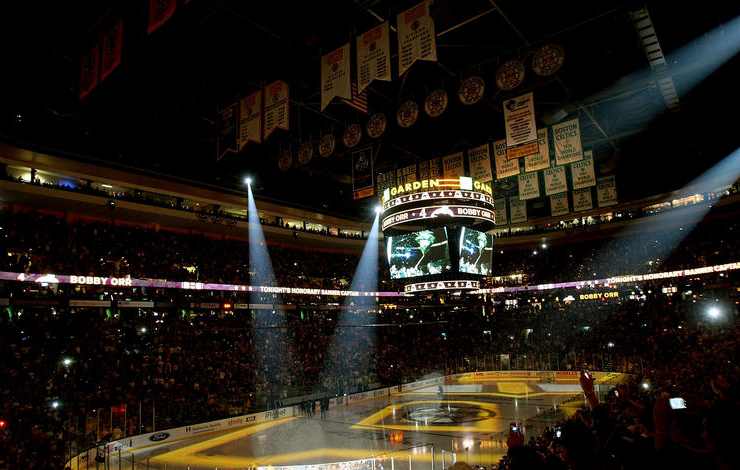 Sports Business Boston: Will Bruins fans come back? Will Bruins fans come back? In recent years the Boston Bruins have enjoyed a boost in popularity through exciting young talent and better on-ice performance, highlighted by a 2011 Stanley Cup title. Just one year after they had once again climbed back up on top of the Boston sports scene, are they in danger of falling back to number four again? Not quite so fast. Out of all of the sports markets in the U.S., Boston is one of the best hockey markets. If there is any effect on attendance or broadcast ratings, the Bruins should not see as much of a decline as many other National Hockey League franchises. Hockey's roots in Boston begins at the youth-level. Unlike many other areas, youth hockey programs in Boston are vast and well-developed. Add this to the number of colleges in New England with hockey programs compared to other regions of the country, and it can be seen why hockey has such a strong presence in New England. While Boston is a traditional hockey market, the NHL also has many non-traditional markets as well. These will likely be the franchises to be hurt the most, especially teams who have made recent improvements in building a fan base. Take the Florida Panthers for example, who have seen a significant increase in ticket sales, along with better on-ice performance. The momentum they have created in their market is now in jeopardy. The same can be said about the Los Angeles Kings, last year's Stanley Cup champions, who saw enormous amounts of 2013 season ticket sales during last year's playoffs. These are the teams that will be hurt the most from this lockout, while back in Boston there will be minimal damage. After the last lockout in 2004-05, the Bruins' average attendance for 2005-06 was 16,211. That was up from 15,133 fans per game in 2003-04. If the Bruins were able to increase their attendance post-lockout during a time of declining interest in the team, they should have no trouble retaining their fans in 2013. Hockey will always be a part of the fabric of this city, the NHL lockout cannot change that. Without question the fans will be back supporting the Bruins and teams in the Original 6 markets. There might be lower then normal turnout in the initial stages of this season or next season, but fans in this market love hockey. They will be back.